Far West China is like no other place on earth. A trip to China’s remoter reasons such as Xinjiang, Qinghai, Gansu and Tibet will without a doubt be a once in a lifetime adventure that will satisfy the part of you that longs to travel the old Silk Road and be swept back in time, to a place that is entirely unlike anything you’ve ever seen before. Far West China features some of the highest peaks in the world, often set against stunning backdrops of green pastures, or barren deserts. Xinjiang’s Taklamakan desert had a reputation even thousands of years ago as being one of the most forbidding regions on the planet, a dangerous stretch of rolling sand dunes that caravans would go out of their way to avoid. The high peaks that make up the Kunlun and Pamir mountain ranges, offer stunning sights and amazing opportunities for trekking and mountain climbing (although certainly not for the faint of heart). Rolling green grasslands, sapphire blue skies, and alpine lakes round out the array of landscapes you will see on your journey. While many regions of China are home to ethnic minority cultures, those you will find in the far west are very different from the cultures you will find closer to the Chinese heartland, which tend to be far more influenced by the majority Han Chinese culture. 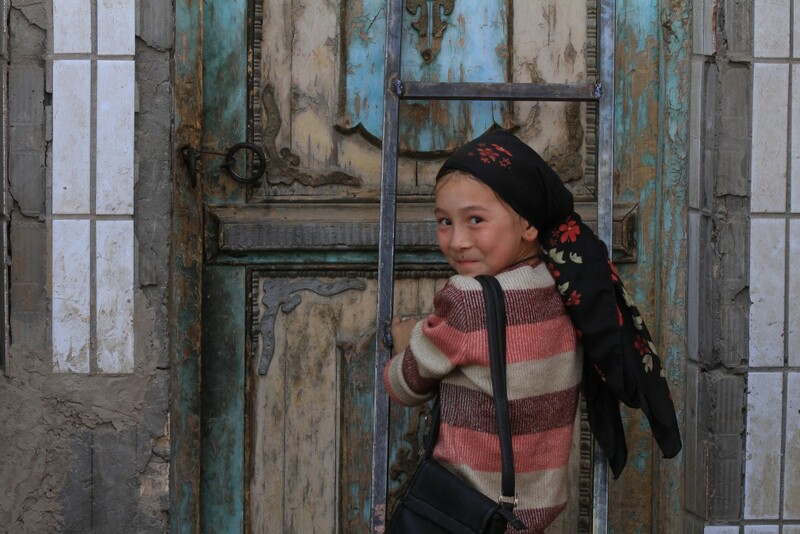 The Uighurs of Xinjiang are a Turkic people who still mainly speak their own language and practice Islam. 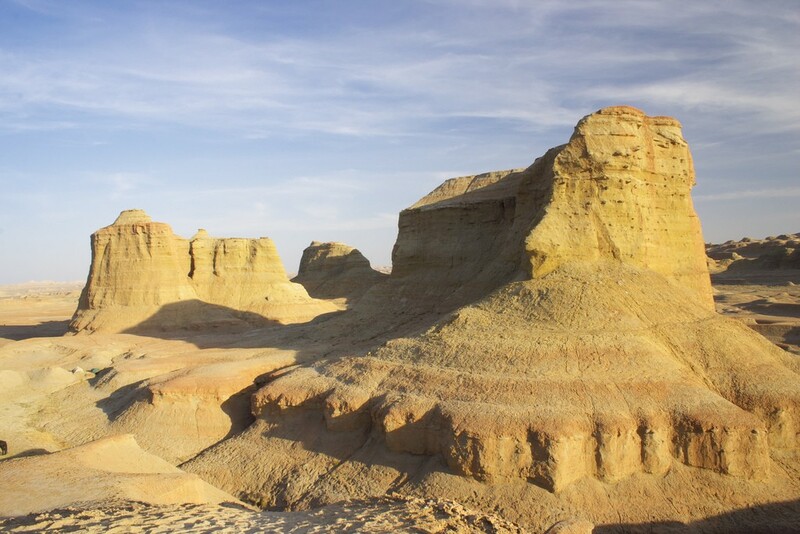 When visiting certain parts of Xinjiang it is easy to forget you’re in China at all. 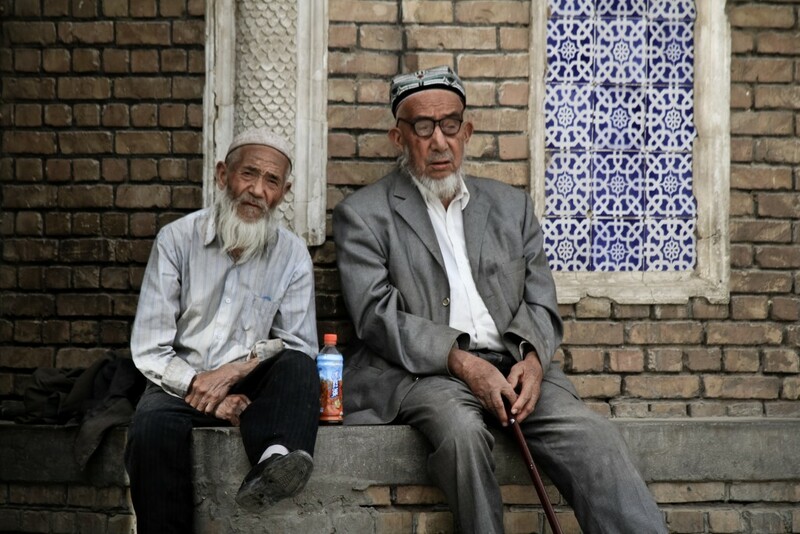 Tajiks, Uzbeks, Russians, Tartars, Mongols, and Tibetans all make their homes in Xinjiang province, and each one of these cultures is as different as can be from the Han Chinese majority. 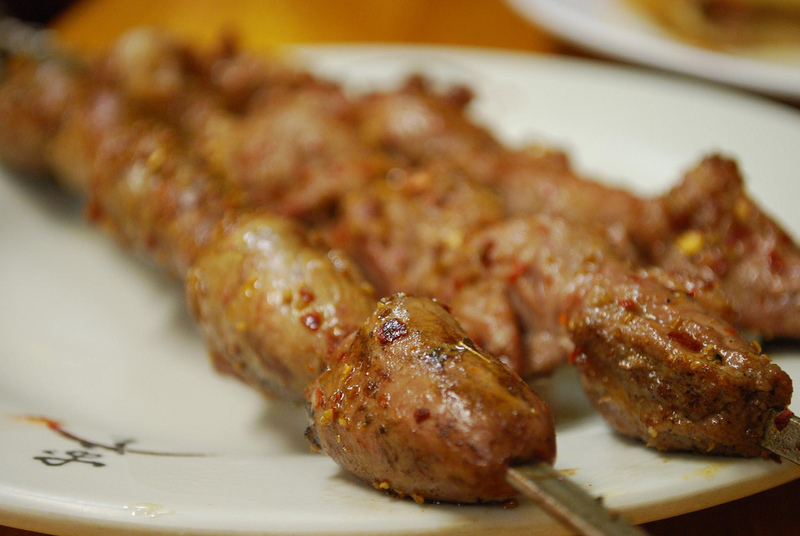 Xinjiangese food is out of this world, an extraordinary blend of Chinese, Middle Eastern, and Turkish fare. 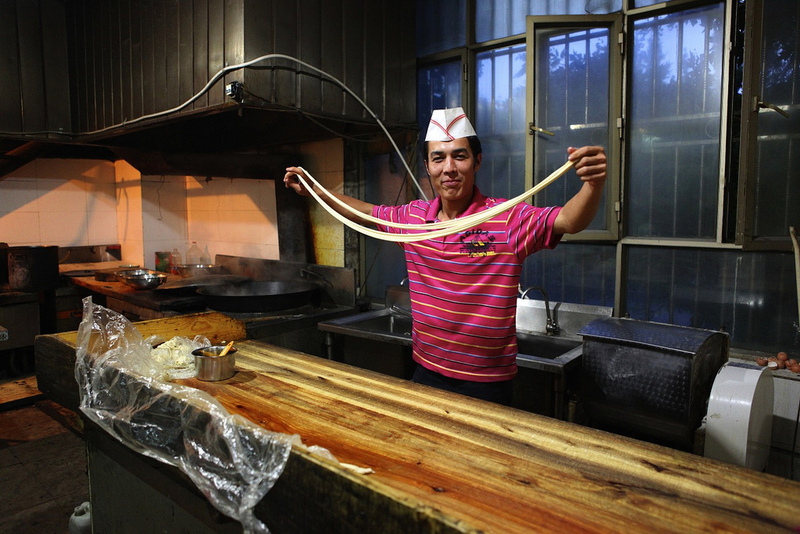 Try the humongous lamb kabobs and nan bread for an afternoon snack, but definitely do not miss out on the “Uighur spaghetti,” known as “ban mian,” or mixed noodles, which are long spaghetti like laghman, or la mian, with a mixed chunky sauce with tomatoes, peppers, onions, and sliced mutton poured over the top. Far western food generally features hearty bread and beef or mutton heavy dishes that are quite filling. Tibetan fare includes momos, dumplings that are filled with yak meat or mutton, and delicious Tibetan butter tea. If you’re sick of typical Chinese stir fried dishes, then a trip out West is as far from traditional Chinese cooking as you can get without actually leaving the country. 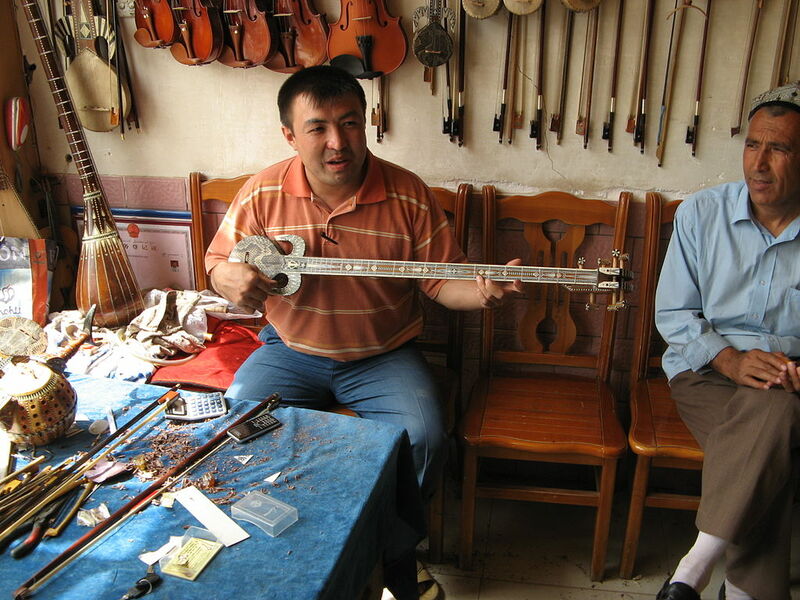 The peoples of Far West China are musical sorts. 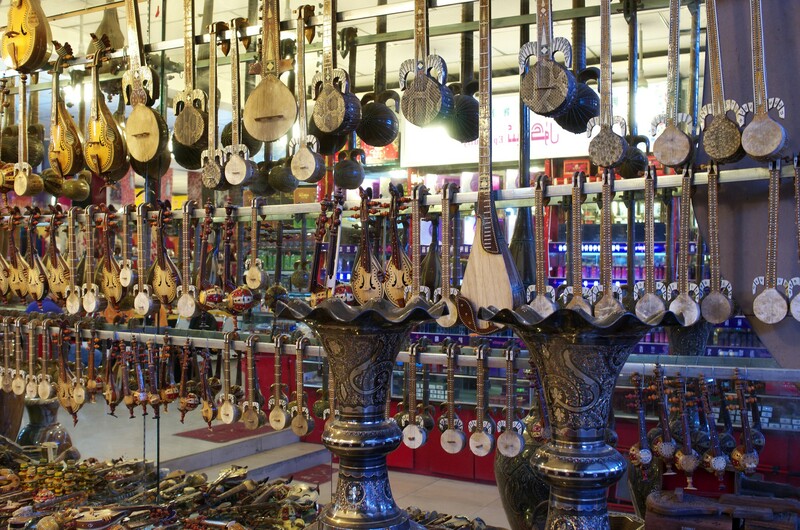 The Uighurs have a wide array of musical instruments that are all Turkish in origin, and traditional Uighur music sounds like a blend of flamenco, Arabic, and Bollywood music all rolled into one. Most Uighur men know how to play at least one instrument, with string instruments, like the rawap and the dutar, as well as percussion, the dap, a framed drum, being the most common. 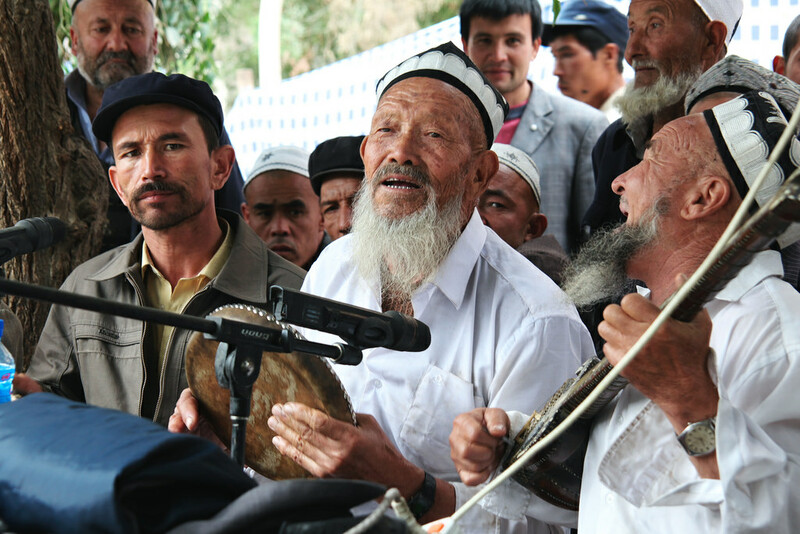 Public spaces in Xinjiang province are more likely than not going to include an impromptu jam session by local musicians at some point during the day. 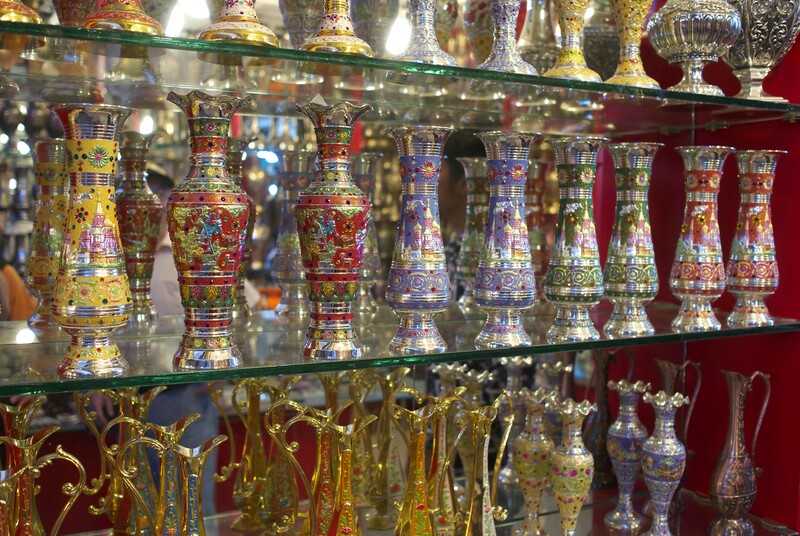 Stroll the famous bazaars of Urumqi and Kashgar and step back in time, to the days of camel caravans, exotic oils and spices, to the days when dried dates were highly sought after and silk actually traveled along the silk road. What can you buy in Far West China? Hand-woven Xinjiang carpets are a regional specialty, and although rather bulky, they are well worth the cost. The region is also known for finely engraved metal works, which make a rather more portable keepsake. The region is also famous for Atlas silk, a special kind of silk, usually in jewel tone patterns, that is locally produced and used to adorn clothing as well being used as a type of decoration. 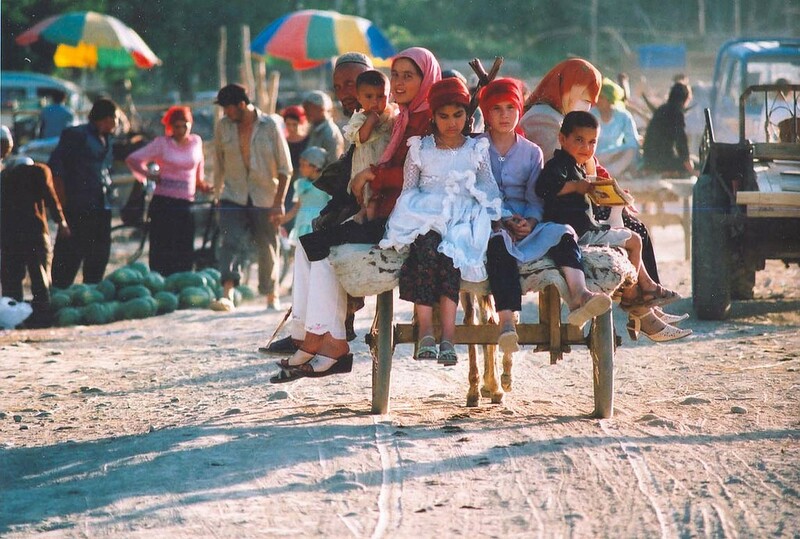 There are also many local handicrafts, including hats and caps, traditional clothing, and embroideries. The aforementioned musical instruments also make excellent souvenirs. Whenever discussing Far West China, it seems the question of safety always features prominently. While several widely publicized incidents have taken place in both Xinjiang (riots in 2009 heavily damaged the region’s already precarious reputation) and Tibet, one must keep in mind that foreign tourists are almost never the target of local aggression. In fact, foreigners are often seen as sympathetic eyes and ears, and are generally welcomed warmly by the local people. Han Chinese tourists (or tourists who appear Han Chinese) may face a certain degree of hostility particularly in ethnic enclaves where Chinese are scarce. A solo Asian traveler would probably do well to avoid smaller all-Uighur/Tibetan townships and villages, but even then, a frosty reception is a more likely outcome than any true physical harm. Overall, the vast majority of travelers to Far West China return home safely and soundly, bringing home not only local treasures, but great memories and amazing stories.